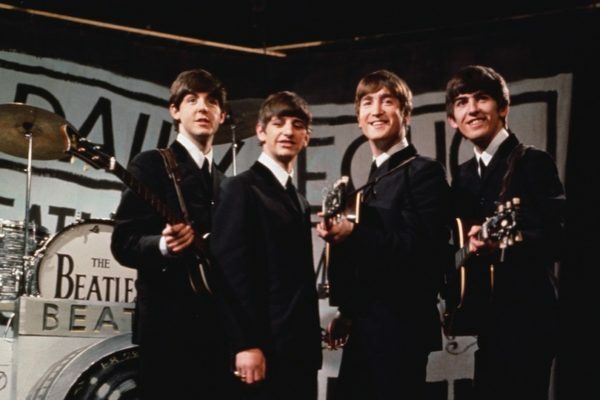 Like most musicians, the songs of the Beatles were my gateway to learning songwriting. As soon as I could find my way around the piano keyboard, I would spend time picking out the melodies and chords of “Let It Be,” “Yellow Submarine,” “I Saw Her Standing There,” and so many more Beatles songs. I can remember playing Beatles chord sequences over and over again, trying to unlock the secrets of those memorable songs. Often, I would try and write my own songs using some trick I stole from the Fabs. See Related Content: “Deconstructing the Beatles “: The White Album, Sgt. Pepper, Revolver, and Rubber Soul. When I create my Deconstructing the Beatles lectures, I try and make them enjoyable for all viewers, whether they are musicians or not. But I’ve also longed to dive deeper into the songwriting of the Beatles, exploring some of the techniques they used to make their songs so memorable. Now, with Deconstructing the Beatles Chords and Progressions, I get to share some of the wonders of the Beatles’ songwriting. Take a song like “Day Tripper.” It starts out like a straightforward 12-bar blues based around a great guitar riff. And many other songwriters would have stuck to the 12-bar blues pattern. But, not Lennon and McCartney. They extend the form, throwing in unexpected chords and creating heightened tension. The excitement of the bridge, where the Beatles hold onto a dominant chord for what seems an eternity, is an extension of what the Beatles learned from songs like “Twist and Shout” (the “ahs” that build before each verse) and then reproduced in songs like “Please Please Me” (“come on, come on”). The Beatles would often blur tonality in their songs, shifting seamlessly between major and minor chords and moving entire sections of a song into a different key. Like Lennon and McCartney, Harrison used these techniques in songs like “Savoy Truffle.” It’s hard to figure out what key that song is in since it starts in E major, ends in G major, passing through E minor along the way. Looking closely at how Harrison creates this puzzle is fascinating. All songwriters and musicians can learn a tremendous amount from the songwriting mastery of the Beatles. And Deconstructing the Beatles Chords and Progressions is a good way to start. Saw your Deconstructing Rubber Soul when it screened at my home in Miami. Have to admit being a life time Beatles fan. But your presentation was so much more than I expected! Of course, I bought the 4 disc Box set when it became available. 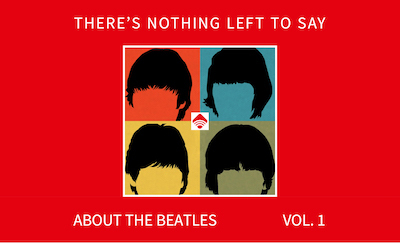 Honestly, it’s the most incredible collection of Beatles recording information I’ve ever seen. It’s Christmas Day for ANY Beatles, or any music fan. Very kind of you, Oscar. We’re so glad you enjoyed the films — and appreciate the support.